Meet Mr. Link. He’s 8 feet tall, 630 lbs, and covered in fur, but don’t let his appearance fool you. 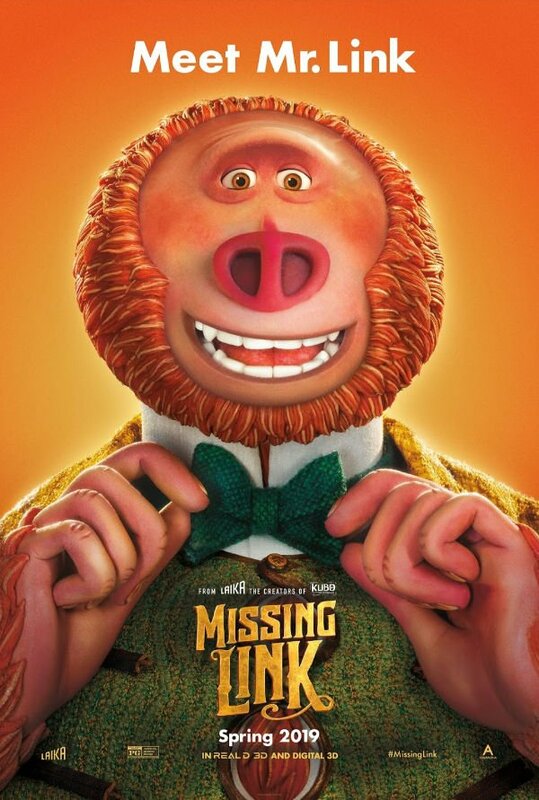 He is funny, sweet, and adorably literal, making him the world’s most lovable legend at the heart of the Missing Link movie. 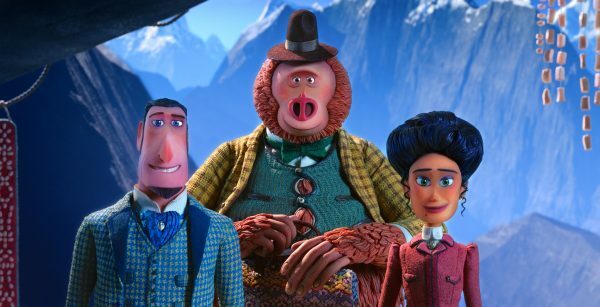 Missing Link is a globe-trotting family comedy adventure from LAIKA. This post is in partnership with United Artists Releasing; however, I am sharing my own honest opinions. Being able to see movies early is always fun! Our theater was filled with little ones and their families. 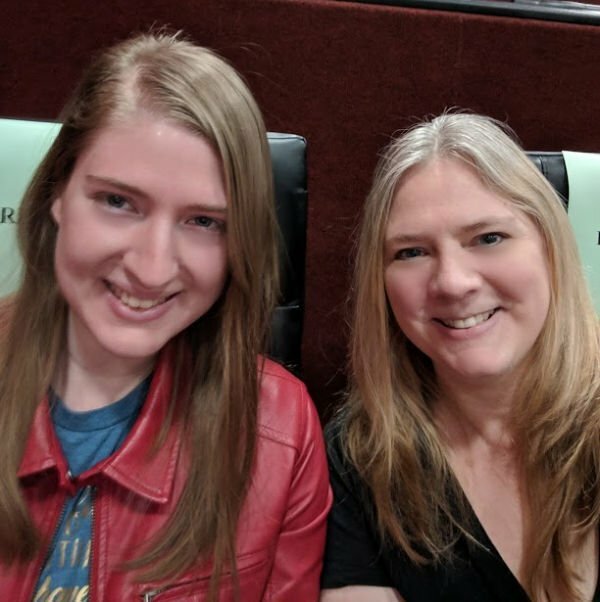 I love going to movies with my “little one” too! I loved hearing what the kids had to say on the way out of the theater. They enjoyed a variety of scenes and even when they found it a bit “scary” they talked about that scary part with excitement! Hey, I feel you, kids. It’s great being on the edge of your seat, wondering how the characters will get out of their predicaments. 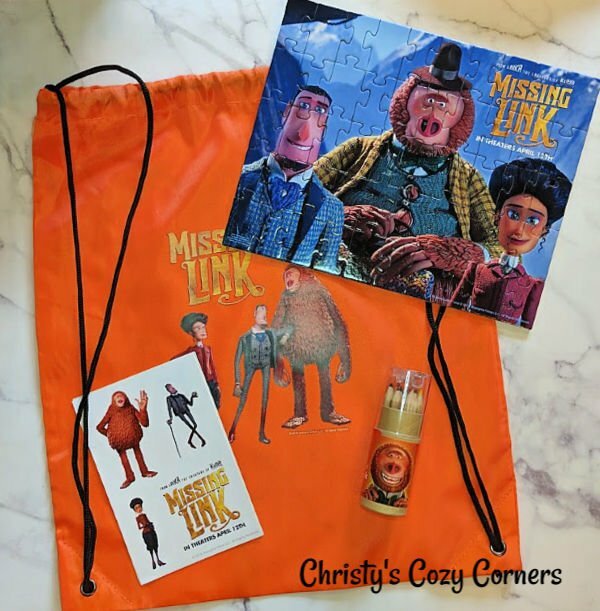 The fact that the movie is stop motion animation will impress all of you parents who are taking your little ones to see Missing Link. I just kept watching in awe of how much work went into making this film. 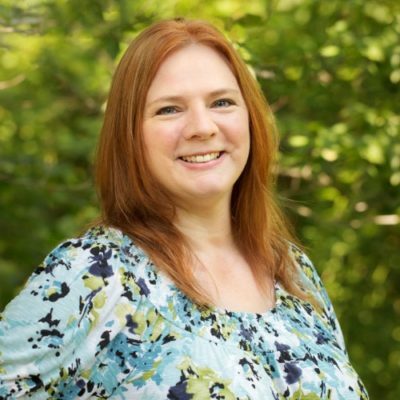 You’ll love the characters…even the bad guys…many of whose voices you’ll recognize. I have a favorite scene, but I don’t want to spoil it for you because it’s a bit unexpected. Just pay close attention to when this little group of three is led to their guide who is the only one who can tell them where to find the yetis. 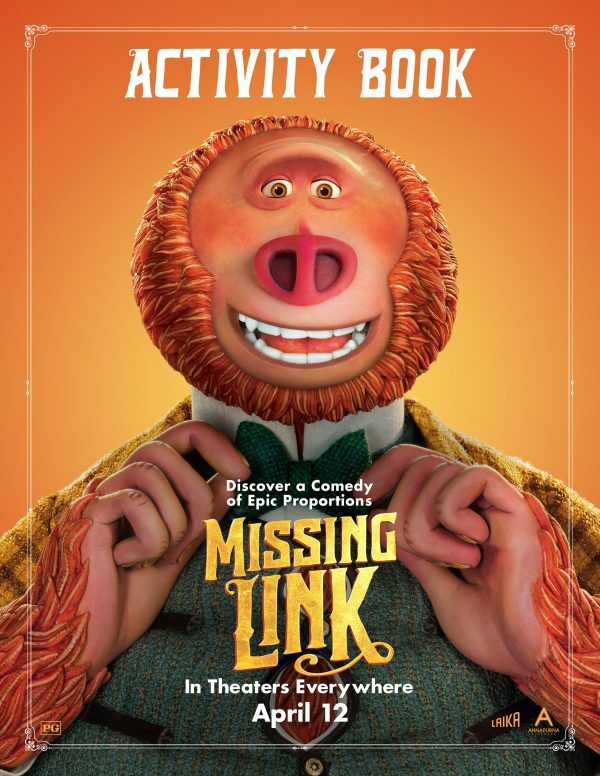 Even it you don’t believe in evolution (and I don’t), Missing Link is more about finding friendships in unlikely places than convincing audiences about the evolution of man. It brings home the fact that family is more than blood. And it does it very well. Download a FREE Activity Book by clicking this image! I’ve got some of the prize pictured above because I received these at the Missing Link screening I attended.